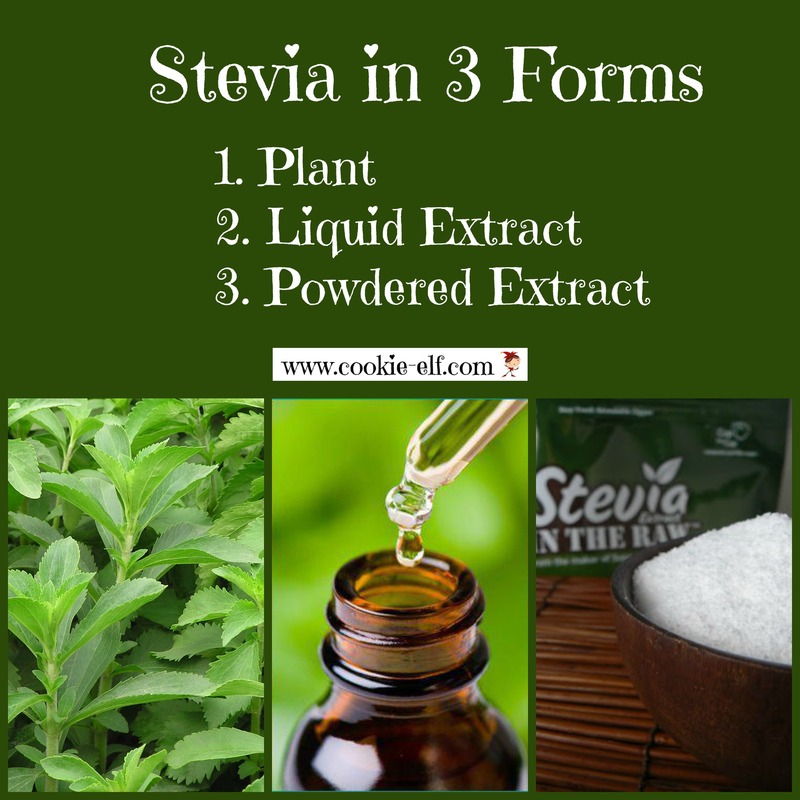 Stevia in cookies is a natural, non-nutritive substitute sweetener to replace sugar. It contains no calories, no carbohydrates, and has a zero glycemic index, yet the supplement sweetens food. More than 200 times sweeter than sugar, teaspoon per teaspoon. Some nutritionists say up to 300 times sweeter. It has been used for centuries as a sweetener in its pure form in South America. Yet the product begs controversy. Although derived from a plant, some question whether the product be labeled as “natural” when it undergoes a chemical process to be extracted. At its core, the issue is whether it should be labeled as a sugar substitute or a dietary supplement. The controversy stems from the 1980s, the U.S. Food and Drug Administration did not approve pure stevia as a dietary supplement due to inconsistencies in testing results. In 2008, the FDA approved purified stevia extract to GRAS status (Generally Recognized As Safe.) The resulting highly-refined sweetening compound offered in grocery store products today is called Rebaudioside A and is listed on labels as either Rebiana or Reb A. It is this version that you purchase as Truvia, PureVia, and other commercial products like drink mixes and packaged sugar substitutes. Most of the raw stevia used to produce these products is grown in China, and its natural sweeteners have been stripped of many of the plant’s healthful properties. In order to buy pure stevia, you must head to your local health food store. Products made from high-quality, whole-leaf stevia contain up to seven sweetening compounds and an array of antioxidants. You can grow your own in your backyard or even on your windowsill. Fresh leaves from can be used in hot or cold drinks or on their own as an herbal tea. The leaves can also be dried to form a powder, which can be used in baking. Some products are commercially prepared and ready to use in recipes. They combine stevia extract with a bulking additive, like powdered maltodextrin, that is ready-to-measure one to one with the amount of sugar called for in the recipe. It is these forms that you can most readily use in cookie recipes and in baking. The processed version is available in liquid form. You can use it in drop form to sweeten beverages and foods. The great news for those of us who love to bake is that you can use stevia in cookies by substituting it for sugar … with one caveat. Without sugar, your cookie dough has much less volume so you have to adjust the other ingredients in your recipe to make up for the lost bulk. You accomplish this easily by replacing the lost bulk that the sugar would have added with another food. For each 1 cup of sugar replaced, use 1/3 cup of a bulking agent such as egg whites, apple sauce, fruit puree (like bananas), yogurt, or mashed sweet potato. If one of these ingredients is already called for in the recipe – such as mashed bananas in banana nut cookies – than simply increase the amount of that particular ingredient proportionally. You can also try replacing the bulk with 1/3 cup water or fruit juice. But the bottom line when it comes to replacing volume: the resulting cookie dough should be smooth … not liquid but not too thick or chunky. In addition to replacing the bulk lost in sugar, you need to add stevia. How much depends on the form you use. If you use a commercially-prepared product that measures one-for-one to the amount of sugar in a recipe, then you simply need to substitute one for the other and include the bulking agent. If you use a powdered or liquid extract, refer to this handy conversion chart for amount of stevia in cookies … and be sure to add the bulking agent also. Some people notice an aftertaste with the sweenener. The added bulking agent (such as applesauce or vanilla-flavored yogurt) can mask this tendency.